Many thanks to all of you who voted in the recent BBC Countryfile Magazine Awards. 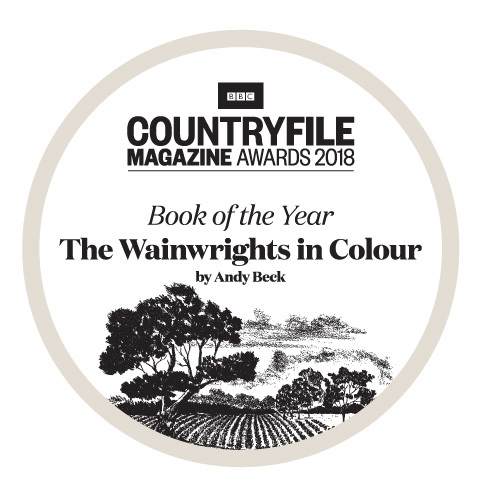 Thanks to your support and votes I am proud and honoured to announce that today I was informed that The Wainwrights in Colour Book took the accolade ahead of some other worthy finalists. It has been a hectic couple of months for me with projects going on behind the scenes (more information will be posted shortly) but this award that follows on so soon after the TGO Outdoor Book of the Year is yet more of an affirmation that my ten years of dedicated work on the project was all worth while. I will post a more detailed blog shortly. In the meantime, as a way of celebrating I am offering orders of the book P&P Free (UK Mainland only) until the 20th April. So, if youi don’t have a copy yet or would like to buy another copy for a friend or relative then now is the time to do so. The journey from that first show at Rhegged was long and at times I am sure you must have wondered what you were doing! It is a great book and it is excellent that the wider “outdoor” community has twice recognised the achievement. Well done, a glass of good malt is called for! Thank you Ian. I may save the glass of malt/gin until the weekend. Well done and well deserved Andy. A well-deserved recognition of a wonderful project and end-product.